Back in the day the only clutter we had to worry about was our physical clutter. Piles of paper, too many tank tops, and even further back, how many toys we had strewn about our room. Now we have to worry not only about that physical clutter but our electronic clutter too. Adults and kids alike are starting to accumulate electronic clutter at an alarming rate. Not sure about anyone else but like my physical clutter my electronic clutter has started to make me somewhat stressed and overwhelmed. Which means it's time to start organizing! 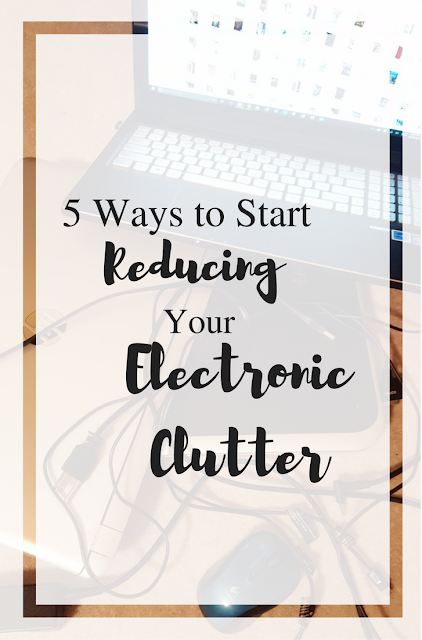 Today I'm sharing 5 things I started to do to help eliminate ... Well at least reduce my electronic clutter. Whether you're working on sorting your photos, keeping your email organized or just organizing any part of your electronic world you need to start using folders. Folders with very specific names and purposes. Don't just put everything blog related into one folder if you're getting a lot of emails about sponsors and comments. Same with the files on the computer yes I have one folder for blog stuff but I now need to break it up into more folders for things like photos for recipes and word documents with ideas. It can be difficult sometimes because not everything will fit in one neat folder or you might not have enough of one subject for it to warrant it's own folder. I'll bet you can put about 90% of your digital life in a proper folder though. I bet this area is still my biggest challenge area, especially when it comes to my photographs. I will let photos sit on my camera and phone for months. Then when I actually get around to pulling them off I will just dump them into a general camera phone file and a seasonal folder. So that means whenever I am trying to find a photo from say 2013 I need to look through all the photos from that year. By actually being proactive and sorting the photos right away after the events and putting them in better folders, later when I need to find them things will be a piece of cake. Plus it won't seem like such an overwhelming project later on. This can also apply to things like your email as well. Don't just keep deleting those promo emails from that store you stop into once a year. Unsubscribe! Need help with that check out Unroll.Me it's an awesome site that walks you through all your email subscriptions and allows you to unsubscribe quick and easy. This is the one area that I definitely bring my job home. Both at work and at home I'm a HUGE pusher of making sure everything is labelled. Not just labelled, but labelled properly. What is the point of changing the title of a file or folder if it's not one you would actually think to check. It doesn't make much sense to keep photos for my Pampered Chef business in with all the other photos since I'd really be using them in a business way. It makes more sense to keep any files, documents and photos, relating to Pampered Chef in their own folder. Use common sense and what makes sense to you. With the advent of being able to store terabytes of data we never have to delete anything if we don't want to. A friend's mom literally doesn't deleted any photographs she takes, she will just buy a new 16 gigabyte card and fill that one up. Isn't that nuts?! I don't even think she goes back and looks at the photos later and I can guarantee that there are bad photos on their. She's that person who posts those on Facebook. What is the point of keeping photos where the person is out of focus or you accidentally take one of the chair? You're right there is no point. Those types of photos take up space and make it harder to get to the ones you really want to see, like your five month old nephew actually in focus and smiling. It's not a crime to delete photos, that's one of the most positive aspects from everything going digital. We have the ability to take so many photos until we get that perfect one now. This can apply to your electronic clutter in many different ways. If you've been working on organizing your clutter that you've got two hard drives, your camera and your phone plugged in to your computer I think it might be time to take a little break and walk away! I also mean sometimes it's time to take a break from a part of your electronic life that gets cluttered. Being a blogger there is definitely multiple areas of my electronic life that pile up. Between Bloglovin, Twitter, four email addresses for different parts of my life I've got new messages and notifications coming out my ears! 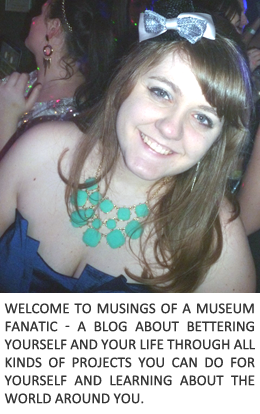 I got to the point with my blog's Facebook page where it was clutter and that was it. So I decided to take a permanent break from it. Yup, I know it's crazy but I deleted it. Sometimes deleting and unfollowing is just the best thing for your sanity. These are my top five tips to start you off on your electronic clutter crusade. Go forth and start to conquer!